We provide comprehensive services including, computer installation, computer repair, virus removal, data recovery and printer repair. We bring more than 15 years of expertise, delivering world class technology services and customer support. 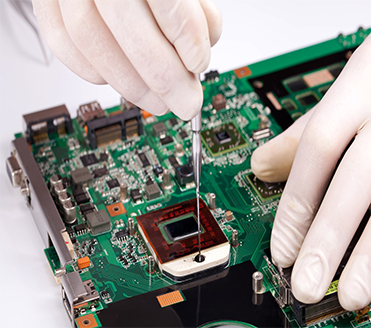 Our skilled technicians are required to pass A+ and Microsoft Certifications, as well as other factory requirements for the computer components and systems that we service. At right, a letter of recommendation from a recent customer, Gene A. Boscacci. Please read up on what our customers are saying about us on Yelp, Google, and Yahoo. "I want to thank you for all the work you did so competently and completely on my computer when it got hit with a virus. Your personal involvement throughout and speedy turnaround during this process showed me Bay Computer Repair's professionalism. It was kind of you to also give me "gratis" a new keyboard for my ole Dell 4550, a gesture few humans consider and for which I am grateful. "I had never utilized a computer repair firm before (lucky I guess), and the recommendation of your firm from a trusted business resource was "spot on." Please let this letter serve notice to any future potential customer my heartiest recommendation of Bay Computer's effective and efficient work!" San Francisco Computer Repair is located at 151 Valencia Street, San Francisco, CA 94103. We're open Monday through Friday from 9:30 to 6:30, and Saturday from 10 to 5. Phone us at 415.863.8820.